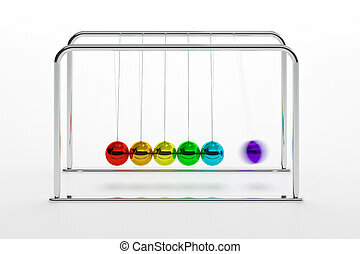 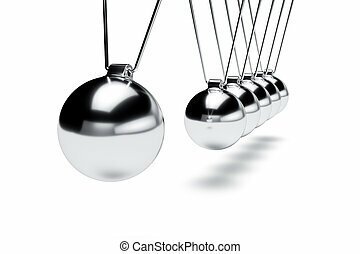 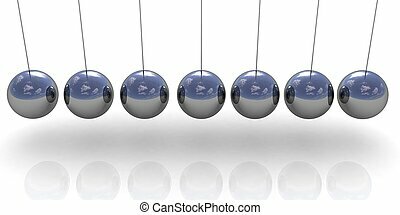 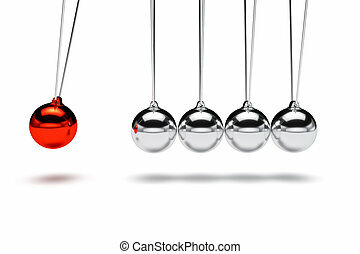 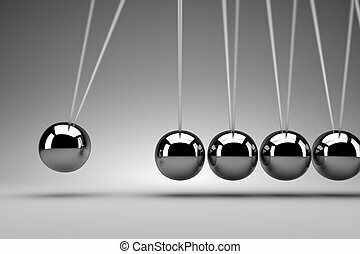 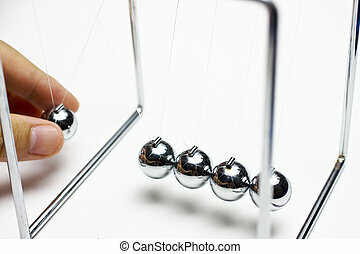 Balancing balls newton's cradle isolated on white background. 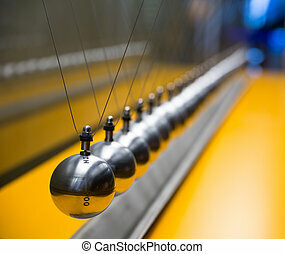 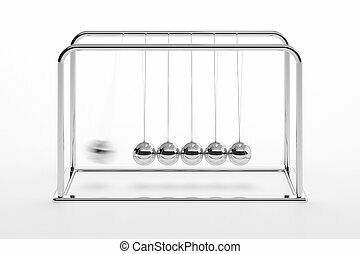 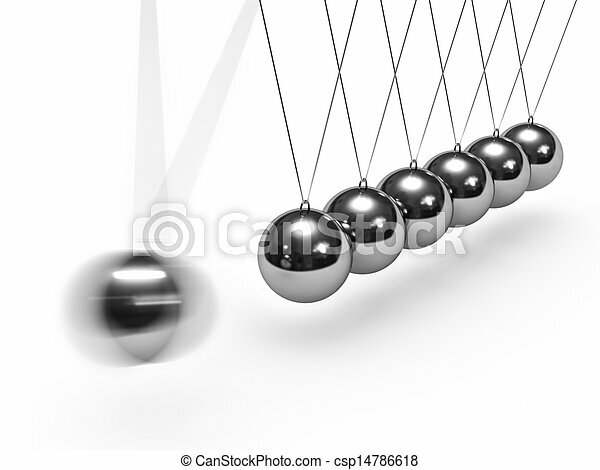 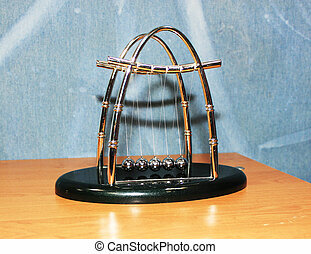 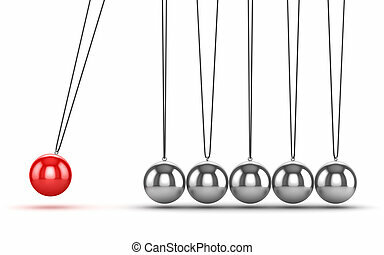 Balancing Balls Newtons Cradle , This is a computer generated and 3d rendered picture. 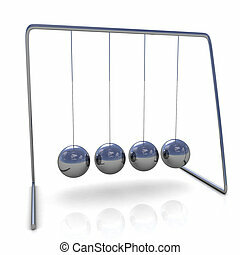 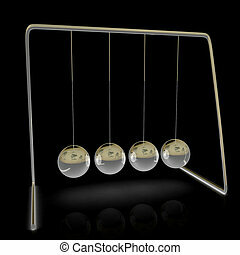 Newton's cradle. 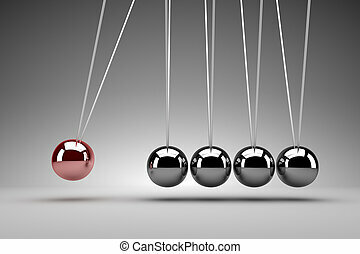 Newton's Pendulum. 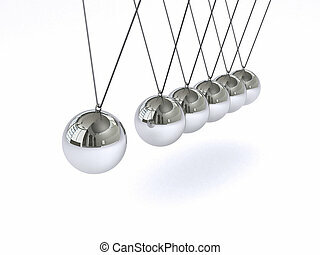 Balls beat. 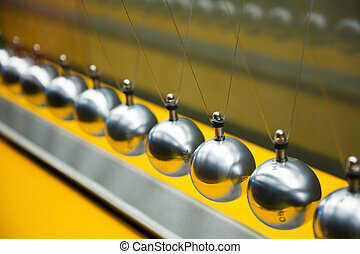 Set of metal balls.